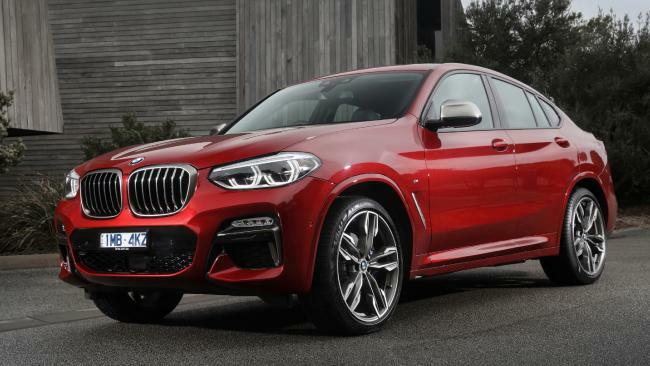 A BIGGER, bolder BMW X4 shows even brash coupe-style soft-roaders can come of age. The second-generation X4 has grown in key criteria and is a better mid-sized SUV for the growth spurt. Cargo space is up by 25L and an extra few centimetres of width and legroom make for a surprisingly practical vehicle. About 60 per cent of all BMW Australia's sales are tipped to be SUVs this year. Design-driven vehicles such as the X4 and X6 account for only a small percentage but their unconventional shape and high profile ensures they build brand awareness. 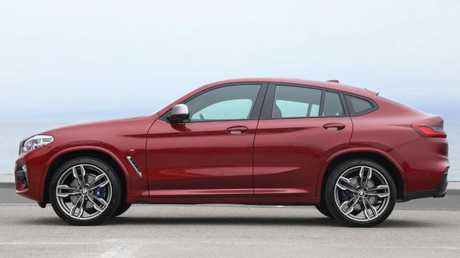 Prices start at $76,900 for the X4 20i powered by a 2.0-litre turbo (135kW/290Nm. Pay $79,900 for the similarly equipped 20d with 140kW/400Nm turbo diesel. Both drive all four wheels via an eight-speed automatic. 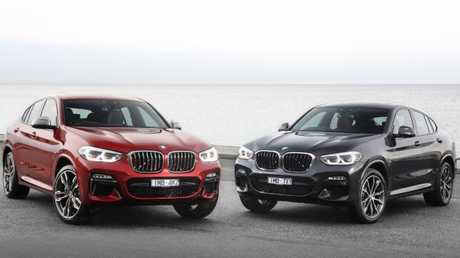 That puts the entry level car about $3000 dearer than its predecessor but BMW has fitted an M Sport pack as standard - 80 per cent of customers ordered one for the last model. 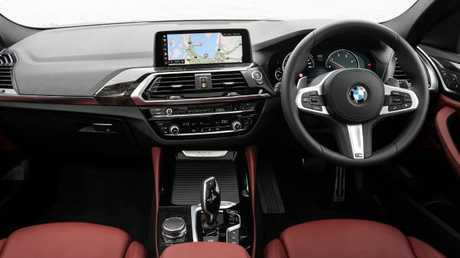 In the four-version range, standard gear includes active safety kit, LED headlamps, three-zone aircon, head-up display, adaptive suspension and a 10.25-inch infotainment screen with satnav and digital radio. The 30i comes in at $83,900 with a 2.0-litre turbo tuned for 185kW/350Nm, plus leather upholstery, adaptive cruise control, 12.3-inch screen and 20-inch wheels. For now, the headline act is the X4 M40i (the X4 M is due next year). For $109,900, it has a limited-slip diff, stiffer suspension, sunroof, heated front seats and 16-speaker audio. Propulsion in the M40i comes from a 3.0-litre six-cylinder turbo (265kW/500Nm) that will launch it from rest to 100km/h in 4.8 seconds. Astonishingly quick for an SUV, this was in the supercar realms not that long ago. All models make do with run-flat rubber, so there's no spare wheel and all are rated to tow 2000kg, though "trailer nose" weight is limited to 100kg. 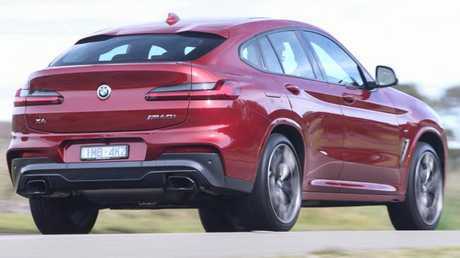 At 1800kg with a driver on board, the X4 doesn't feel like a light car. Lithe yes, light no. The adaptive dampers are stiffly tuned to help tame body pitch and roll. They do that admirably through the turns but it comes but at the expense of a jittery ride over corrugations ... like those found entering those same corners. There's also not enough range from the normal to sport settings, or even the adaptive mode, which should be able to detect when you're trundling along and adjust the impact over small bumps accordingly. The base 2.0 doesn't have the oomph to elevate the X4 from SUV into the "sports activity coupe" when aimed uphill. The diesel's mid-range torque is better but the 30i is the pick of the litter for everyday performance - and it officially drinks fuel at the same rate as the 20i at 7.8L/100km. Sharp steering contributes to a stable and spirited drive should the right roads beckon from beyond the windscreen. There's just enough feedback to save face without challenging a BMW sedan for steering-wheel feel. Engine noise suppression in any version is remarkable, with a distant, well-lubricated thrum from behind the firewall audible on full revs. That quietness highlights some wind noise around the windscreen and mirrors but nothing requiring elevated conversation volume. The M40i is cut from another cloth entirely. 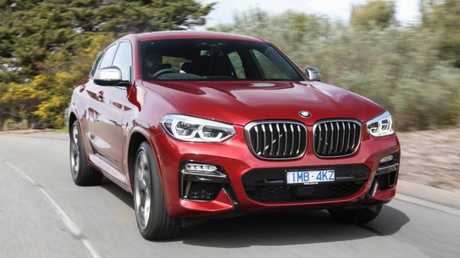 The "lite" version of the coming X4 M employs a wantonly playful six-cylinder engine delivering enough performance to satisfy all but the most manic drivers. The suspension is stiffer again but you forgive it in this case because it's the only way this vehicle can carry that much corner speed. 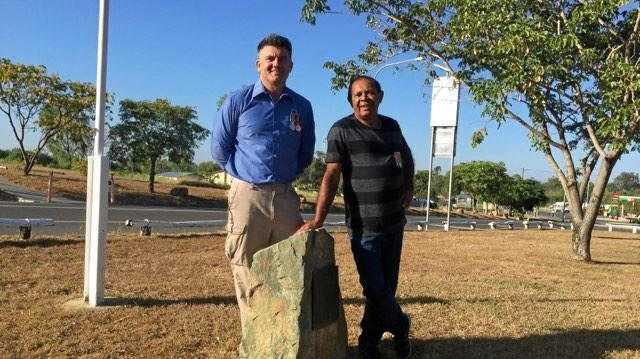 When you reach your destination you can unload the family and the luggage and reflect on how the X4 is also growing with the tribe, again without diluting the DNA. Extra space and sophistication make the second-generation X4 a more rounded product. TECHNOLOGY A head-up display is now standard across the range. Active safety suite now includes traffic sign recognition. PERFORMANCE The mid-spec diesel has been dropped, leaving the 30i petrol with marginally more power but less torque than the 35i it replaces. The M40i is then seriously quick. DRIVING As with its predecessor, the ride is a touch too firm around town but this one handles a touch better. DESIGN Bigger in every dimension but height, the X4 now has the volume to go with its voluptuous looks.